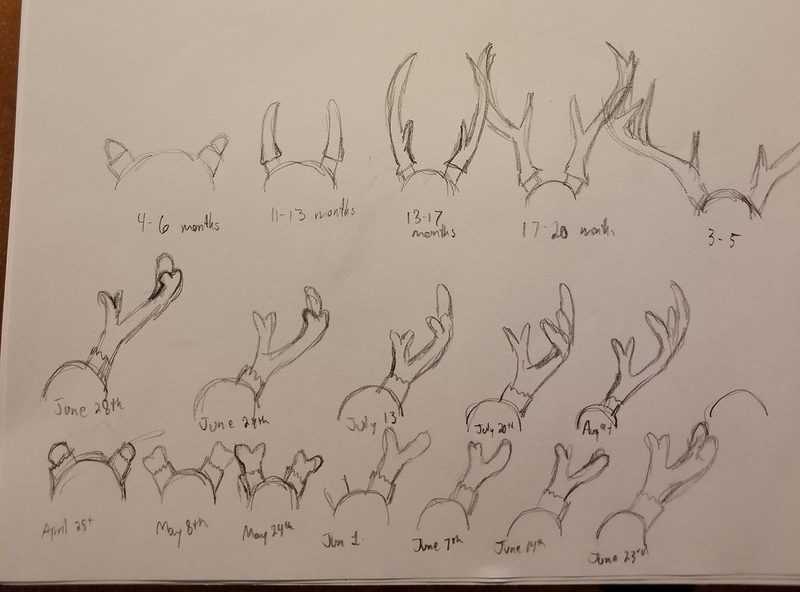 A simple sketch timeline of whitetail deer antler growth. Starting from the nubs to 4 month growth. Nature sure does love its organic, sensible growth patterns.